For as much rightful reverence British makers have earned and continue to earn for their amplifiers, the country’s story with guitar reads quite a bit differently. Names like Marshall, Vox, Hiwatt, and Orange roll off of the tongue immediately when thinking about amps. But try to name even one British-based guitar manufacturer. Gibson? Fender? Rickenbacker? PRS? Nope—those are all American companies. Whether you can’t remember them at the moment or you’ve never heard of them at all, there are some British-based brands that have made some notable contributions to the guitar market. And as we here at Reverb are wont to do, we scoured pages of listings looking for the rarest and most interesting oddities of the bunch. Some of the brands on this list might be familiar—like Burns, which some say is the Fender of Britain—as might some of the models. The Flyte, for instance, was played by Slade and Marc Bolan of T. Rex. But we can guarantee you that whatever the brand or model, these offerings only pop up on the market so often. 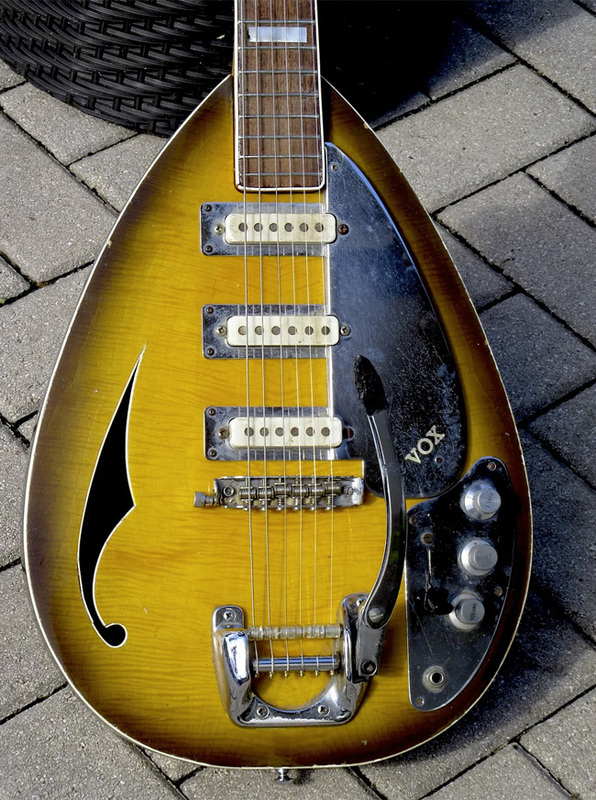 This teardrop-shaped electro-acoustic from Vox was rolled onto the market in the early 1960s and featured a spring vibrato, an adjustable master bridge channel, three six-pole pickups, and individual string bridges. All of its hardware is made of chrome, and it even features a pad on the back of the body—common for the time period, but rare today. In later years, a similar iteration of this model was produced in Italy by EKO. Though an iteration on the company's Strat-like body shape, the Burns Double Six is anything but ordinary. It was first built in the UK in 1964-’65 under the Burns name but was rebranded "Baldwin" starting in 1965, making the Burns models quite rare. 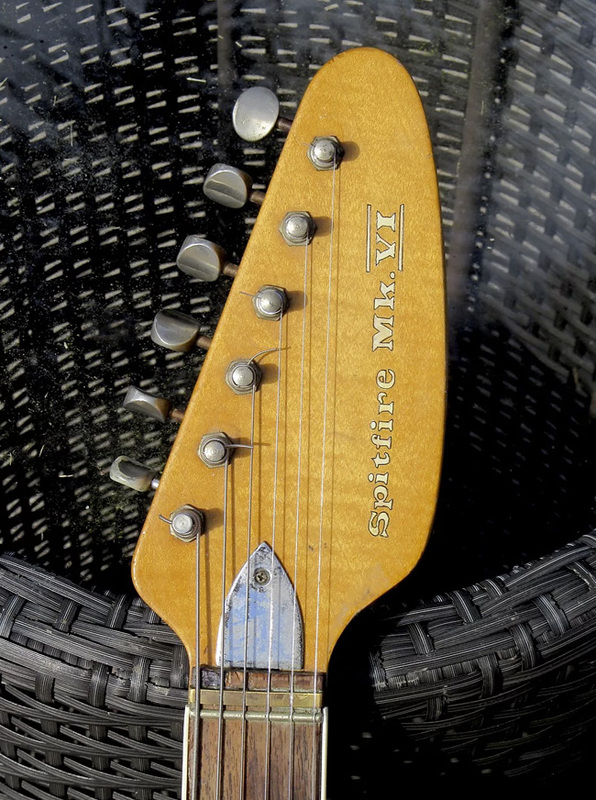 It features three Tri-Sonic-style pickups, a Brazilian rosewood fingerboard, and, as this enthusiastic seller states, it "could be considered the father of the twelve string rock and roll guitar." Hayman was an instrument company based in England that existed for a brief time in the ‘70s. It produced three different guitar models, but the 4040 was the only bass that it ever offered. The body is a solid slab of ash married to a maple neck, and it features SuperFlux pickups for a sound described as "somewhere between a Precision Bass and a classic Rickenbacker thump." The Bond Electraglide had a rather brief life on the market, only being produced for a year or so between 1984 and 1985. 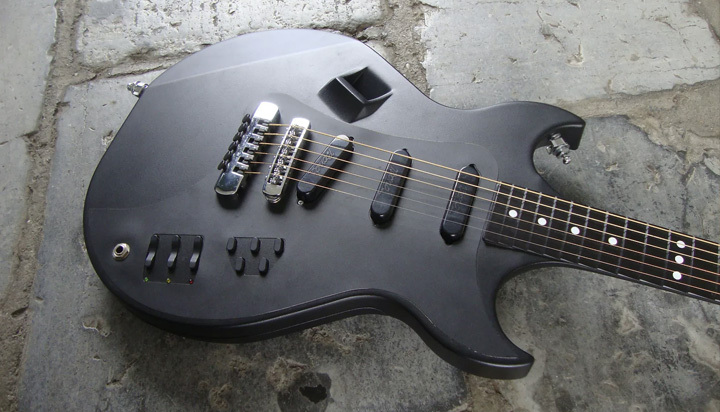 With the Electraglide, the Scottish company offered a carbon fiber guitar a decade before the Parker Fly. But perhaps the most interesting thing about this oddity is the fact that all of the controls—tone, volume, and pickup switch—are digital, powered by an internal motherboard and controlled with pushbuttons. 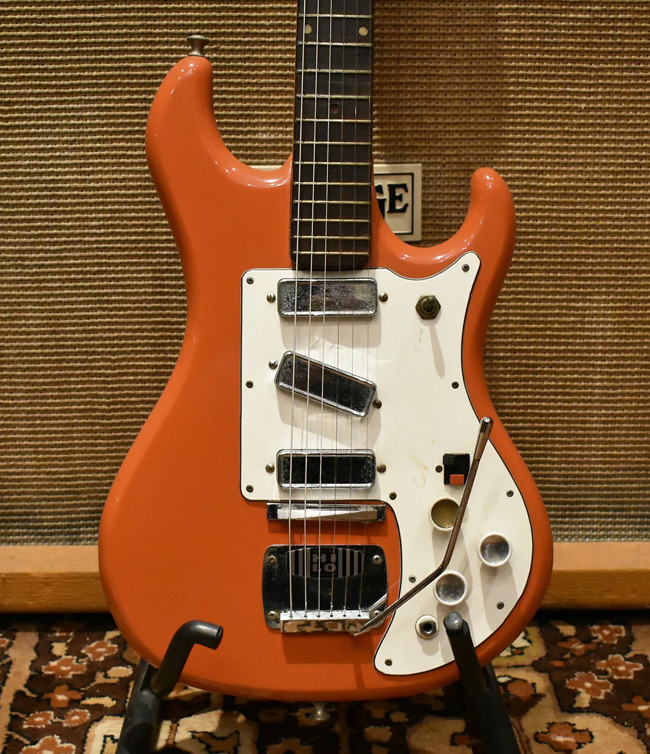 If this uniquely shaped guitar looks at all familiar to you, that’s likely because you’ve seen it in the hands of Marc Bolan of T. Rex or slung over the shoulders of the glam rock band Slade. Designed at the height of the copycat era, there was no chance of the Flyte being accused of emulating an existing model. James O. Burns found inspiration for the Flyte’s design from the supersonic transport aircraft the Concorde. In fact, the Flyte was originally called the "Conchorde," though it’s unknown if any commercially available models were produced under that name. In the early 1960s, The Shadows—an English instrumental rock band—were one of the most popular groups on the map. 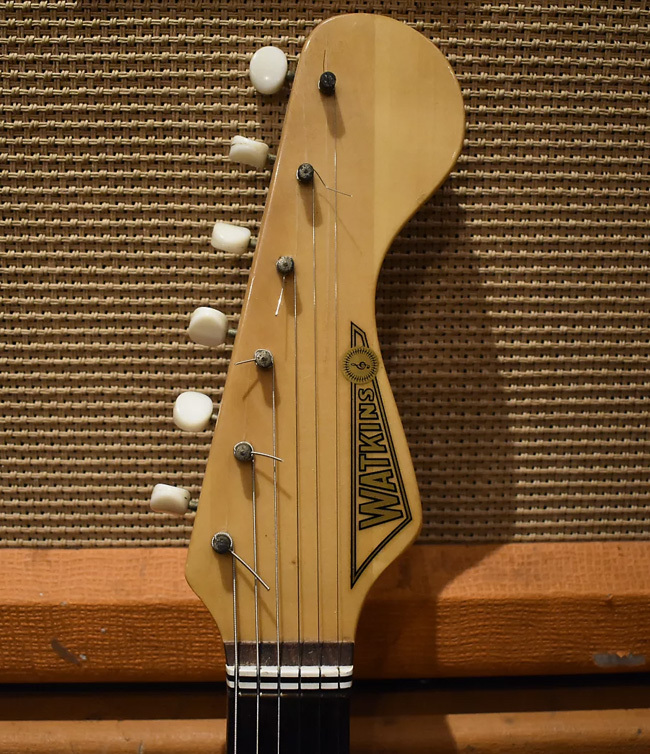 Vox already had the band’s loyalty in the amp department, but the guitar game belonged to Fender. But before lead guitarist Hank Marvin picked up a Stratocaster, he had been known to play a Guyatone LG-50. Vox decided that the way into Marvin’s heart was to emulate the LG-50, and so the Shadow was born. This listing features one of the later, three-pickup iterations of the Shadow. 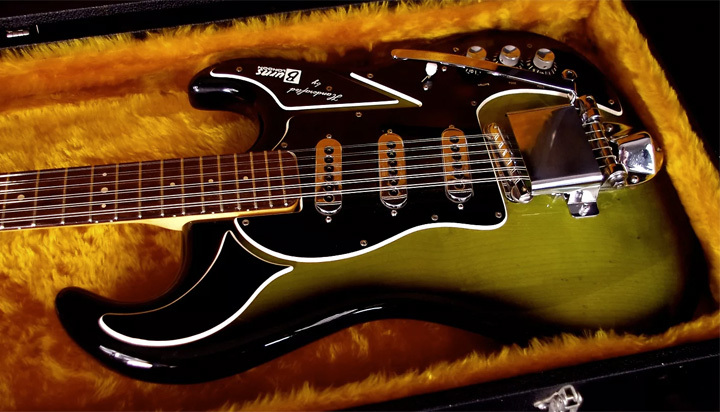 Like Burns, Watkins was another major player in the British guitar industry back in the ‘60s. Enticed by the solidbodies from the States, Watkins set out to bring its own version to the British market and started producing the Rapier line. Watkins made its own pickups, packing two of them into the Rapier 22, three into the Rapier 33, and four into the Rapier 44. The model highlighted here, the 33, was the most common of the bunch. And like most of the others, this one is finished in red and includes a forward-slanted middle pickup. As a bonus, this one even comes with the original strap and case. 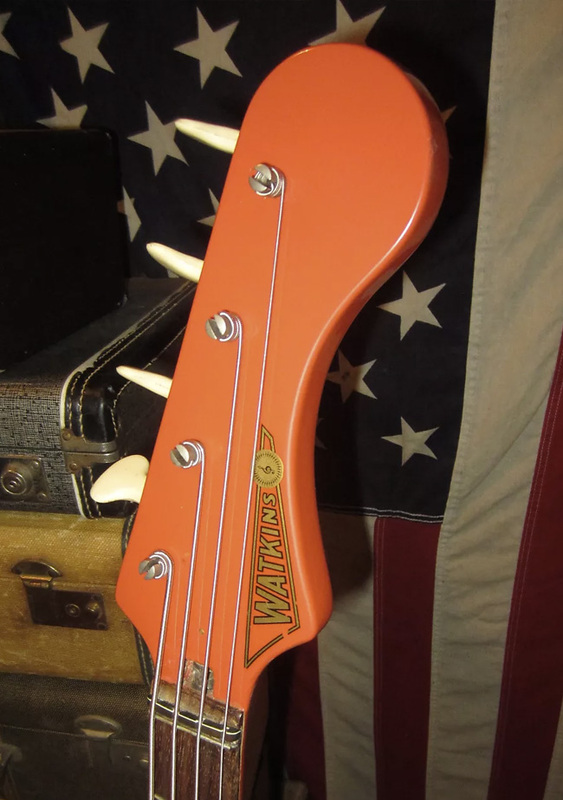 Watkins didn’t offer many bass models alongside its guitars, but there were a few that went into production. 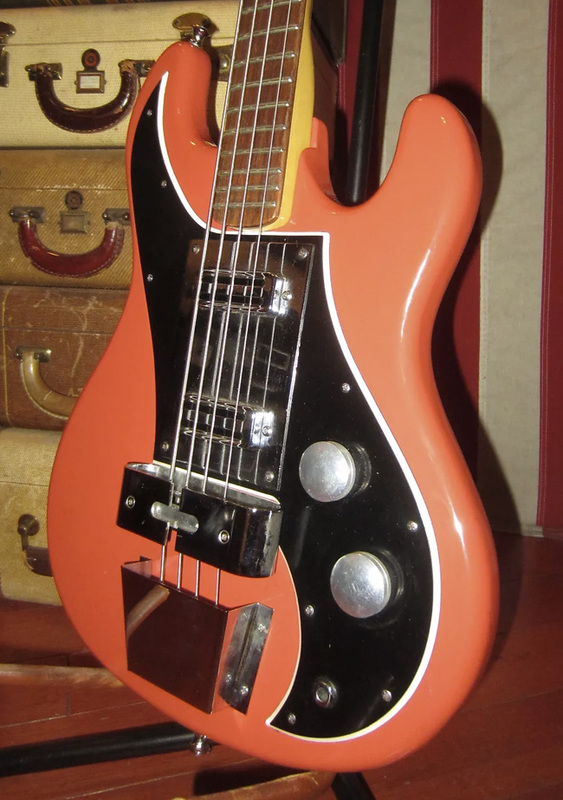 One such model was called the Watkins Rapier bass and was produced in the 1960s. 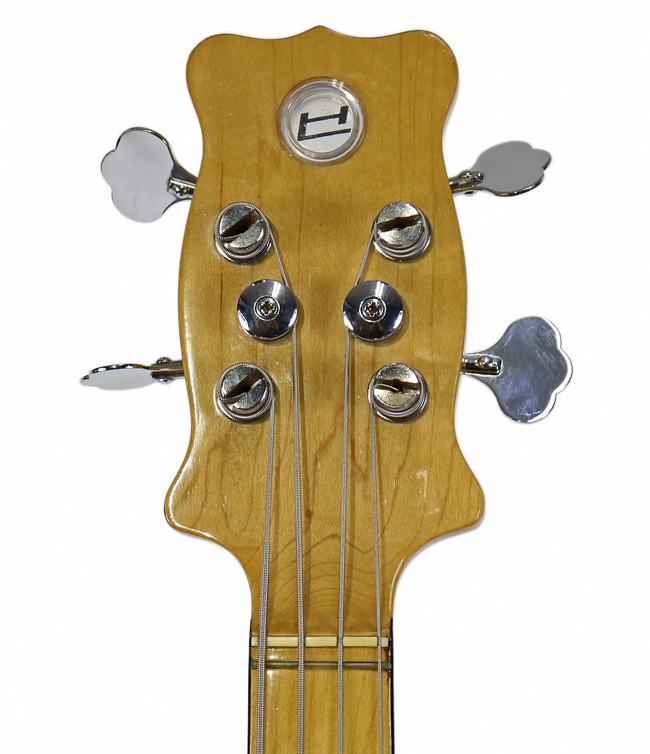 As its name betrays, this is a bass-style version of its solidbody guitar line, with a similar body shape and headstock. 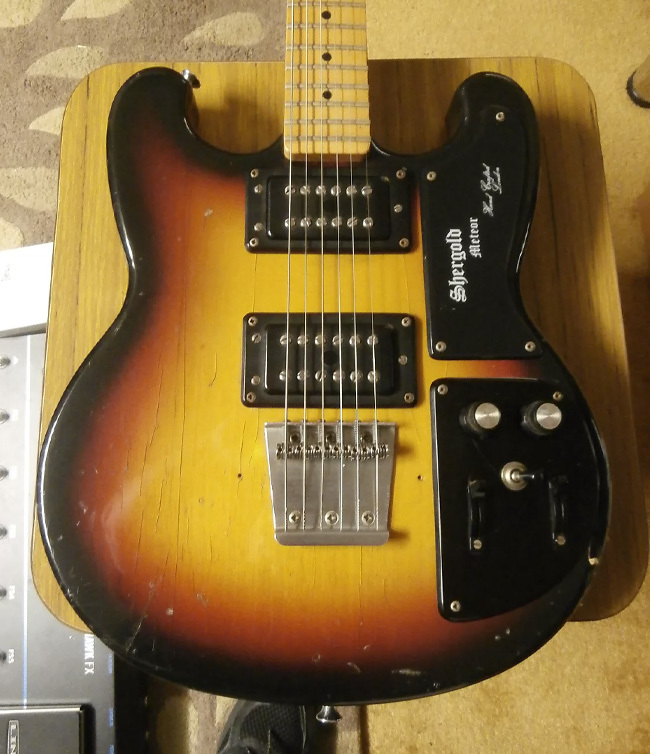 The model above is from 1963, is all-original (aside from a missing truss rod cover), features two pickups, and is finished in a snappy orange color. 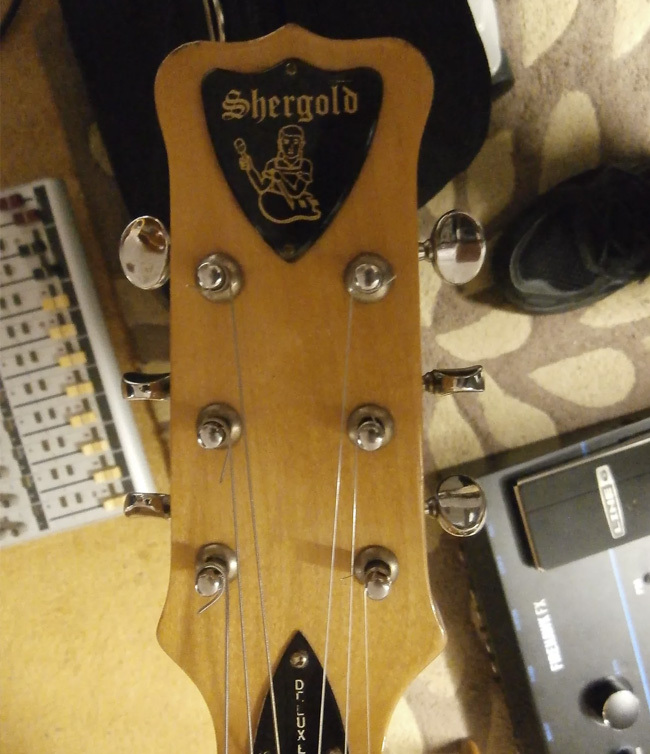 Though no guitar made after 1975 was stamped with the "Hayman" name, the brand didn’t exactly cease to exist—rather, Hayman became Shergold. 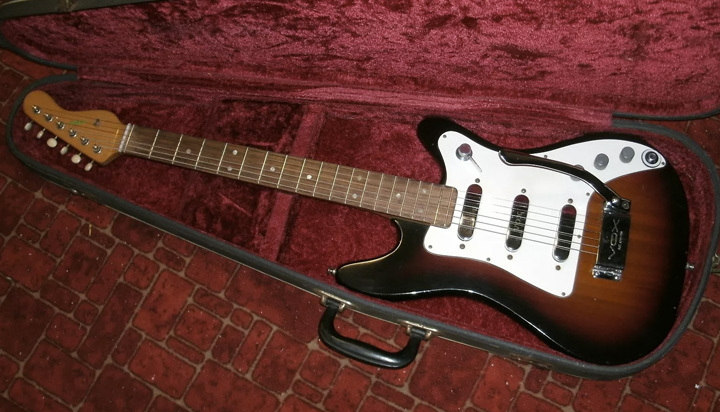 And like many Shergold offerings from the early 1970s, the original Meteor was actually a Hayman design (called the Comet) that had been renamed and rebranded as Shergold’s budget model. 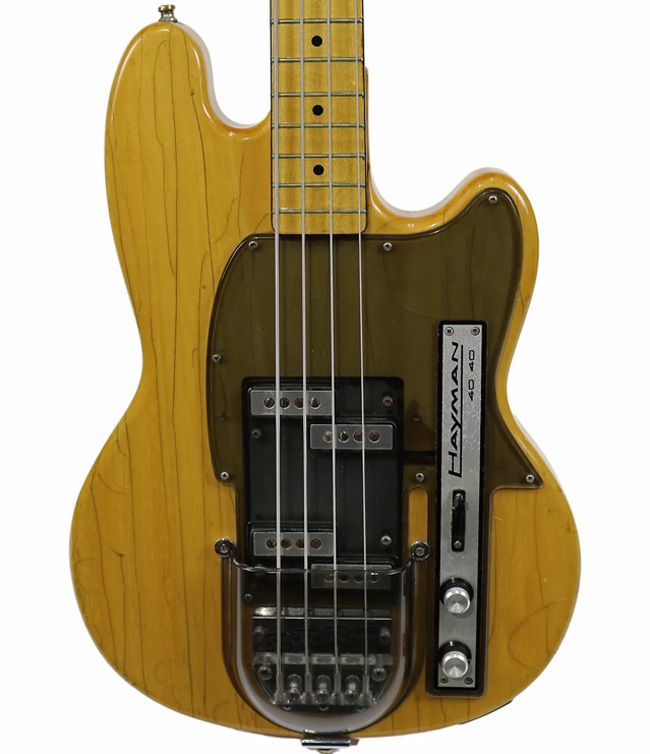 The Meteor Deluxe (sometimes known as the Meteor Twin Pickup) began production in November of 1976 and featured—you guessed it—an additional pickup, as well as a six-saddle bridge and a front-mounted control plate. The LJ24 is another offering from Burns but is also the rarest model on this list. Information about them is scarce, being that it was a Burns UK prototype and only 25 were made in total. Originally intended as a budget model, this guitar's playability and rarity have made its value increase over the years.